Last week I wrote about the “nice jeans conundrum,” the internal debate to purchase or not purchase the world’s most comfortable pair of jeans. The jeans in question, which I tried on about a year ago and still think about, cost $180, which is a lot of money. That’s 180 Slurpees, people. Instead of buying cheaper things that will wear out and that you’ll never be completely satisfied with, focus your budget on expensive, high-quality things that you’ll appreciate every time you use them. Especially if you use them all the time. Save up for more expensive items so that you don’t feel guilty or poor when you purchase them. Perhaps have a section of your bank account into which you put $20 every month. Make non-financial goals and reward yourself with nice things or experiences. Treat yo’ self when you deserve it. I like all of these ideas. I might try all three. But I have a good occasion coming up to try #3, and I wanted to mention it to all of you. Back in the fall, I talked a lot about a Kickstarter campaign I ran for a board game called Viticulture. It’s been my lifelong dream to publish a board game, and thanks to the generous support of 942 backers who pledged $65,980 to the campaign, my dream became a reality. The game is very close to finally reaching the backers–the boat will arrive on US shores on Saturday. However, I have a LOT of game ideas, and a lot of game genres I want to explore. I love the way that board games bring people together to think, interact, and connect. And I love designing games, I really do. So while I was designing Viticulture, there was another game that I started to develop. It used one of my favorite genres, dystopian literature, as the thematic foundation, and it incorporated dice into the game. 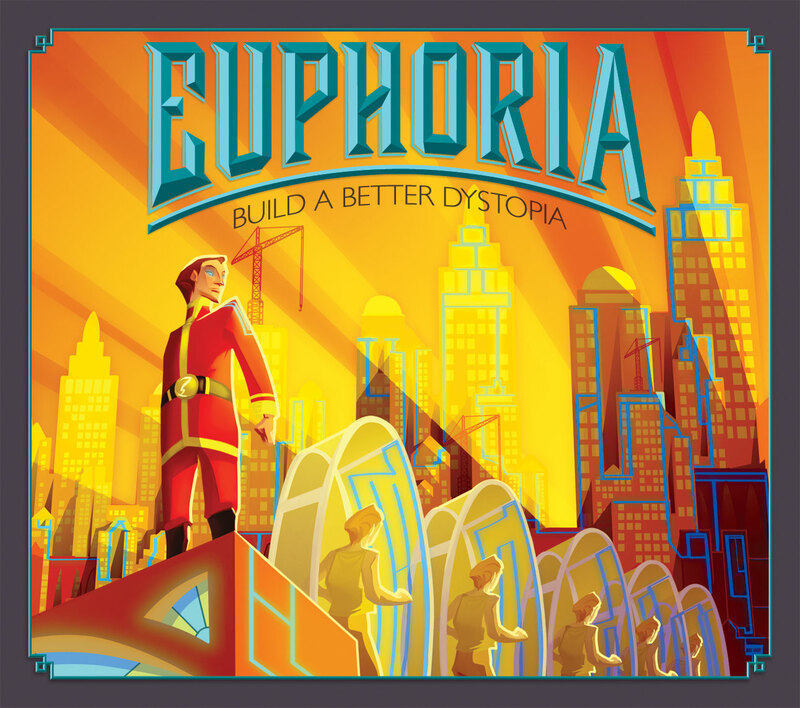 The game that emerged is called Euphoria: Build a Better Dystopia. I’ll launch the Kickstarter campaign for this game on May 15. I’ll talk about the game over on the Stonemaier Games blog a lot, but I’ll mention it here a few times too. What does this have to do with nice jeans? Well, if the Kickstarter campaign is wildly successful, I’m going to treat myself to the world’s most comfortable jeans. The funds will be my own–the Kickstarter funds are for the game, not my clothes–but that’s how I’m going to celebrate if the campaign does well. Well, one of the ways I’m going to celebrate. What about you? Do you have an upcoming goal? How would you like to treat yourself if you achieve it? This entry was posted on Thursday, May 2nd, 2013 at 7:44 pm	and is filed under personal and tagged with Kickstarter. You can follow any responses to this entry through the RSS 2.0 feed. I feel like there is a joke to be made about your buying jeans as one of your “stretch goals” but you’re just so dang fit and so daggum handsome that I just can’t put it together! I wish my belly agreed with you. Good for you, Jamey! The Kickstarter campaign sounds very exciting. That’s a great idea to try out idea #3 and reward yourself with the pair of jeans. Good luck! I have several goals coming up for this spring and summer, and they all revolve around household/organizational/ photo projects. I just recently made a list, and I’m really looking forward to getting started! I broke down my list into different categories (kitchen, office, etc. ), with a few projects listed under each category. This has made my three-page list (yes, three pages … ahh) look less daunting, so I think it will help me to work on one project at a time without getting overwhelmed, and in turn, I will actually finish the projects. If I achieve my goals, I think a clean, newly organized home will be a reward in itself. One thing I might treat myself to, though, would be a free evening to spend cooking and baking. I love to cook and bake, but I never seem to have enough time … so being able to cook and bake to my heart’s desire in a spotless kitchen stocked full of ingredients would be the perfect reward! Thanks for sharing, Colleen! I like how you broke down your overall goal into bite-size elements. And that reward sounds perfectly in line with your goal!